It was Daddy cool by Darts which I’ve since decided is a bit more daddy than cool. If i’d have known how many times in the future I would be asked ‘What was the first record you ever bought?’ I would have been a bit more discerning. The second record I ever bought was ‘Lay your love on me’ by Racey which I still love. I wished you’d asked me that. I’m pretty sure it was Bambi. But the line in a film that totally blew my socks off was in Jaws 2. A girl that I thought was totally gorgeous was trying to lead astray chief brody’s son. They were both the same sort of age as I was at the time – about 12. In a close up shot she says really slowly, ‘Do you always do what your parents tell you?’ It was the most exciting thing i’d ever seen and i nearly passed out. That I nearly passed out when the girl from jaws said that line. I thought it might improve the story. Um... I don’t think I’ve been on a lot of movie dates. In fact, dates. How much more personal are these questions going to get? I remember fancying the usherette at ‘Herbie goes to Monte Carlo’. Does that count? It was a documentary on Channel 4 about someone with some sort of serious problems. I can’t remember the details because I turned it on in the middle of it but they were crying so I just kind of joined in. I play darts a lot at home. Thats my default position. It’s a bit distracting really. Occasionally I try and hide my darts from myself if I ought to be working on something. The last meal I had was pretty great. Two pork pies with english mustard and spaghetti hoops on toast. My extravagant spending tends to be on taxis and props. I don’t buy taxis. I mean I pay to ride in them. And if I like a prop I will generally buy it regardless of price. In Edinburgh in 2008 I bought a toy horse from Jenners for a hundred pounds. I never really had a joke for it but it was huge and could take my weight. ‘Don’t touch that its hot.’ I ignored it and burnt my finger on the bonfire. Eric Bristow. He’s one of my all time sporting heroes. I played him at darts a couple of months ago. Rig up a sound system and sing ‘I Just Can’t Help Believing’ on the steps of Downing Street. Last meal on earth. What would it be? Am I ill or about to be executed or is the whole of earth about to be destroyed by a meteorite? This affects the answer. I mean, if I’m ill I’ll just have a sandwich or something light. ‘Can’t Stop’ by the Red Hot Chilli Peppers going straight into ‘It’s Impossible’ by Perry Como. Well my current position is sitting down so that would probably be on an aeroplane. I asked the stewardess to get me an orange juice when I could easily have got it myself. You do know I’m not Tim Rice don’t you? Nice uplifting question. I don’t know, is the truthful answer. There may be a bloke standing at a bus stop in Leeds right now, mumbling to himself, ‘That Tim Vine is crap’. I never buy Impulse. I’m more of a Lynx man. Elvis Costello at the Hammersmith Palais. That’s the cool answer, but I have a vague and worrying memory that I may have gone to see Cliff Richard at the Royal Albert Hall with my local church group. I recently spent 300 pounds on packets of flower seeds and threw them all into one flower bed to see what would happen. In the end, not much. It turns out a lot of them should have been nursed in small pots first. 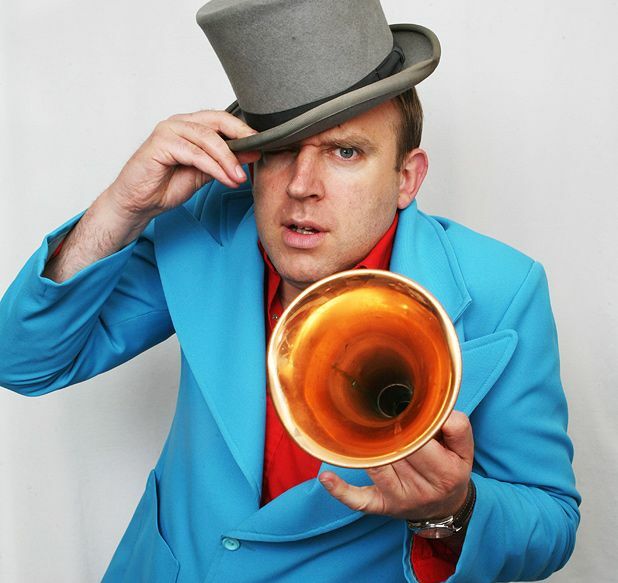 Tim Vine – The Joke-amotive, Pleasance Courtyard, 556 6550, 7-30 Aug (not 9 & 10), 8.43pm, £16-£17 (£14.50-£16). Previews 4-6 Aug, £10. The Tim Vine Chat Show, Pleasance Courtyard, 26-28 Aug, 5.10pm, £11-£12 (£9.50-£11).